Gucci, the storied international fashion house known for its leather products, particularly its shoes for men and handbags for women, has a blockbuster year ahead of it. Its main focus this year is on the concept of ‘time’— the ultimate luxury. This of course makes total sense for a luxury brand like Gucci. No one ever has enough time; everyone intrinsically understands that time is a luxury, especially avid go-go lifestyle goers who swear by Gucci. Leading off innovative new offerings for the coming year is the Gucci Osteria restaurant. Called “a one-of-a-kind project” by CEO Marco Bizzarri, the restaurant blends fine dining and high-fashion as a single luxury experience, and is a bold experiment pushing the boundaries of living the luxury life. Located in the birthplace of cuisine, the Renaissance and Gucci—Florence—the restaurant is a part of the Gucci Garden complex. The brainchild of Michelin-starred chef Massimo Bottura and creative director Alessandro Michele, the restaurant serves Bottura’s version of eclectic Italian. 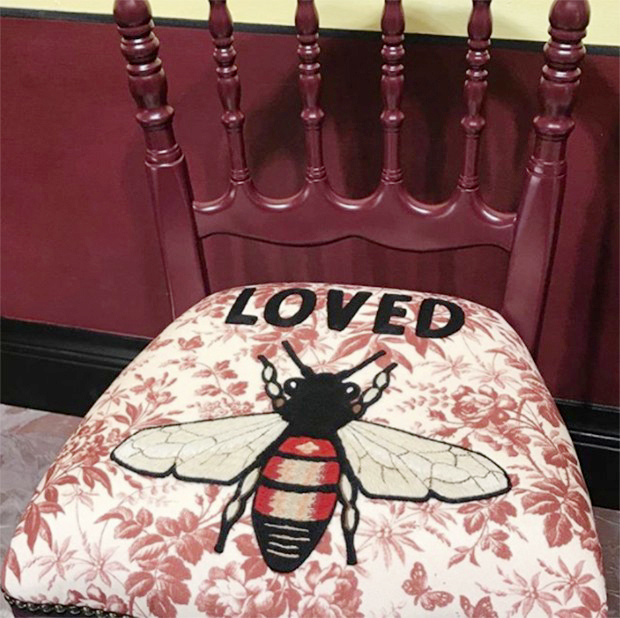 The restaurant features ample design work by Gucci, from the tablecloth, seat cushions to the plates. But the food is more than just succulent pieces of Gucci leather—though who hasn’t thought about munching on one of those from time to time? Some of the dishes prepared by head chef Massimo Bottura include traditional Italian fare as well as the not-so traditional offerings like beef hot dog and tortellini in parmesan sauce. In terms of clothing, Gucci’s soon-to-be released Spring line-up is as equally bold and innovative as its Florentine eatery. The trends are definitely towards the eclectic with many of the outfits featuring select Gucci iconography cleverly mixed with stylish flourishes, like the dog, which is in line with the Chinese New Year. 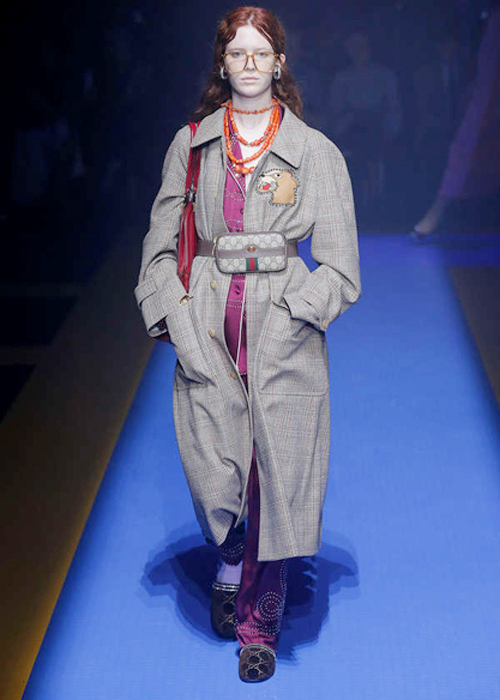 One item featured in Gucci’s Spring/Summer 2018 fashion show that was particularly ingenious was a women’s overcoat with a Gucci handbag fitted integrally to a belt. This is a particularly clever bit of design that enables one to access one’s handbag without having to open one’s coat. Even better, it keeps the bag on display for all to see while one’s hands are warm and comfortable in pockets. 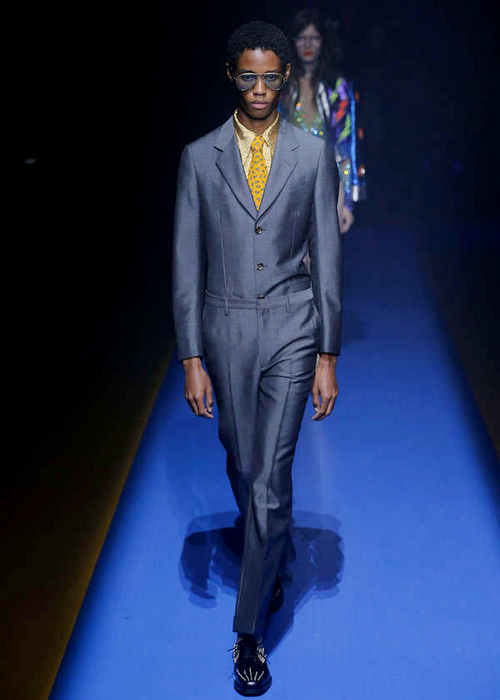 This kind of innovation is visible throughout Gucci’s stunning line-up. Many of the designs hearken back to an earlier age—at times the 1980s, with its enormous shoulder pads. Other outfits are downright Elizabethan, with delicate, flowing robes and hoop skirts, poufy sleeves made of exotic materials, lacy collars, hose and knee breeches, and shimmering, shiny silk in every other outfit. 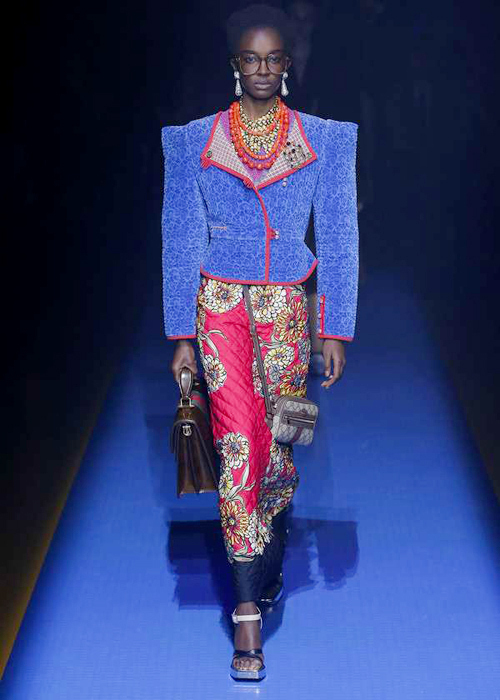 For women’s fashion, Gucci is certainly trending towards a celebration of traditional femininity with modern sensibilities. 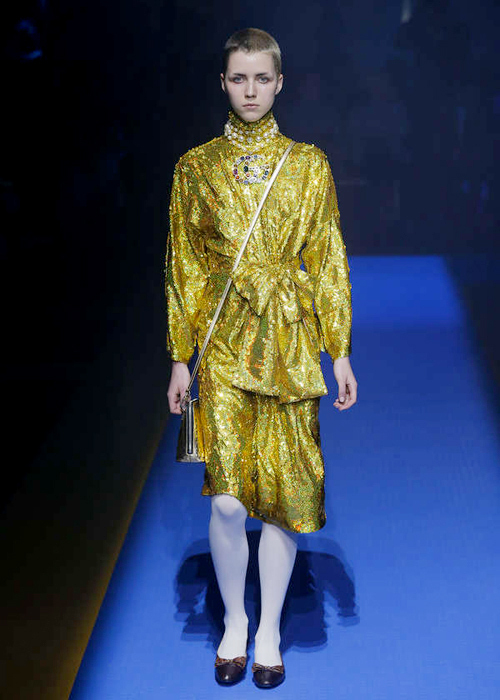 Despite some old-fashioned styling cues, Gucci is nevertheless following a modernist trend. Its overall theme for women this coming season is empowerment. Every outfit and design screams that the woman who wears it is a confident woman able to succeed in any environment, be it an office or a nightclub. 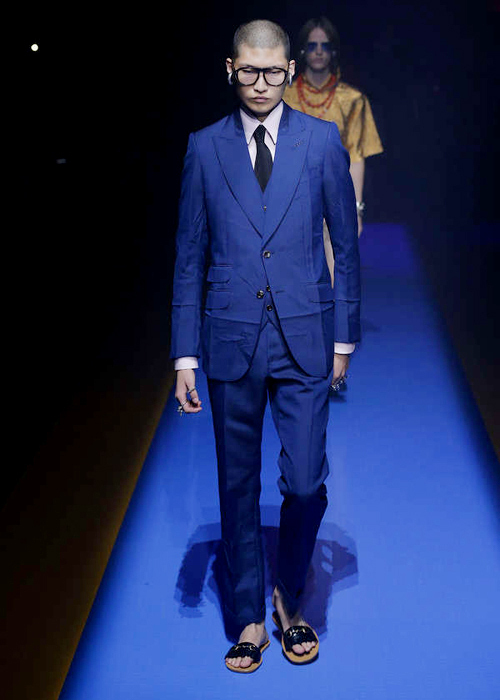 For men, Gucci has an array of items ranging from the conventional to the outlandish. The brand is trending towards extremes; its outfits are either extremely moderate or extremely provocative. There seems to be little in between, with a more daring counterpart to each customary entry. A dark-coloured, three-piece suit is a staunchly conservative ensemble counterbalanced by a one-piece jumpsuit. 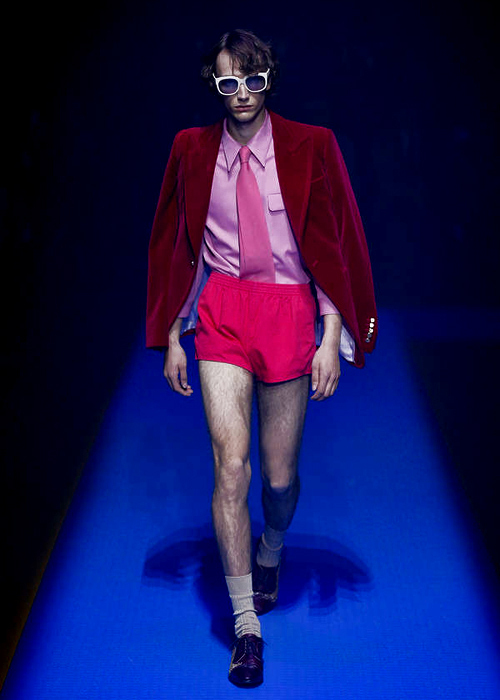 But even the one piece seems subdued compared to a red blazer paired with hot pink short-shorts. Likewise, a surprisingly simple overcoat is compensated by a vest with a giant Bugs Bunny overlay and orange short-shorts. On the whole, Gucci is set to redefine the very nature of what it means to be a luxury clothing label in 2018. Its designs are at once forward-thinking while remaining rooted in the past. Its clothing is innovative while retaining the distinctive Gucci touch to which its patrons have become accustomed. A pink dress shirt is a fairly standard option for men who want to stand out while playing it safe. And a traditionally-styled blazer isn’t much to get excited about, even if it is made from eye-catching red velvet. So to balance the whole thing out, throw on a pair of hot-pink short-shorts. Gucci sure knows how to do it right!